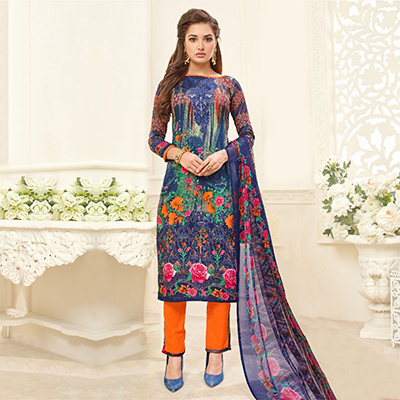 Bring up your ethnic charm with this dark blue - orange salwar suit. This unstitched salwar suit is detailed with print work done in the form of floral design as shown. The outfit comprises cotton satin top, semi lawn bottom and chiffon dupatta. Once stitched, you can wear this outfit for casual & regular purpose.